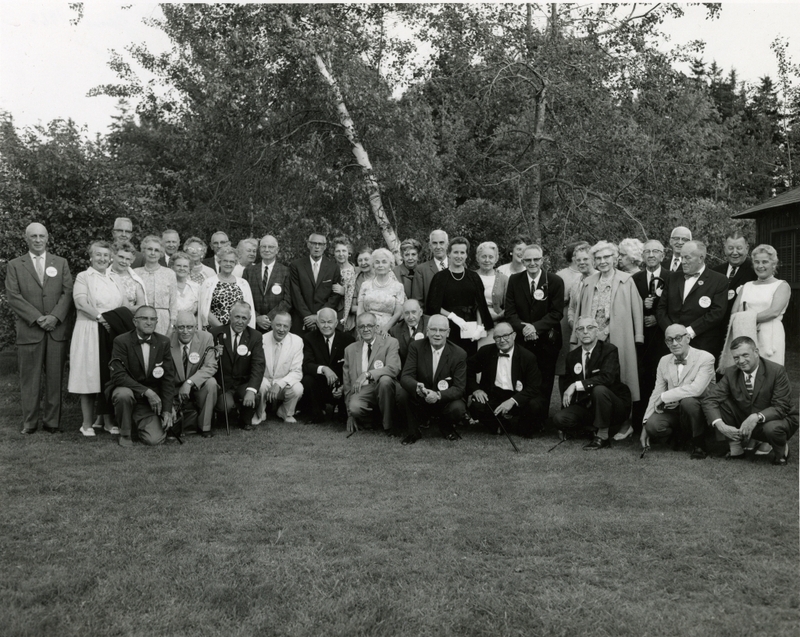 Group portrait of members of the Class of 1918 at their 45th reunion with wives. Front row, kneeling, left to right: two unknowns, K.A. Woodman, L.O. Coulter, unknown, G. Farmer, R.G. Albion, A.S. Gray, C.L. Claff, A.S. Dean, G.S. Nevens, R. Harwell, (guest). Standing (men only) left to right: J.B. Sloggett, three unknowns, S.L. Hanson, unknown, B.W. Norton, unknown, Professor A.O. Gross.